After HAL chief Madhavan said on November 6 that the PSU he heads never gets into offset contracts, he said on November 22 that it could have been a part of the deal for 126 aircraft where some aircraft would have been manufactured fully by the government company. But some aircraft were needed promptly by the Air Force, for which only offsets by Dassault Aviation's Indian partners are possible and, therefore, the G2G contract between India and France is absolutely fine. Udaipur/New Delhi: Putting all speculations about the bona fides of the Rafale deal to rest, the chief of Hindustan Aeronautics Limited has said that the government-to-government contract between India and France for 36 fighter aircraft is absolutely fine. This lays to rest the allegations of cronyism and high price that Congress president Rahul Gandhi has been making for several months now. 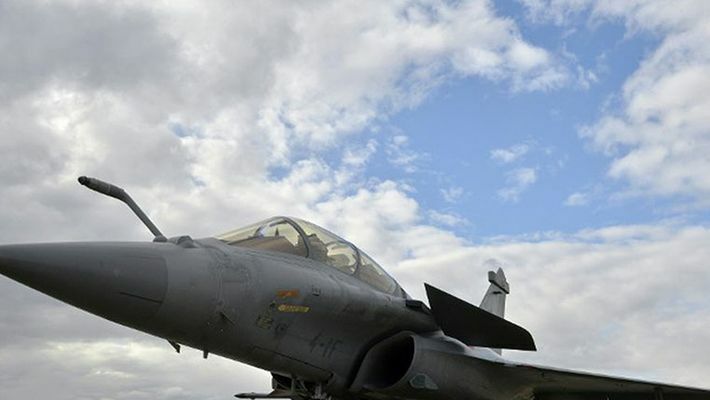 The Congress has been insisting that Prime Minister Narendra Modi government’s procurement of fighter jets from France’s Dassault Aviation is more expensive than what their UPA government had settled for while negotiating the deal for 126 aircraft. That is, of course, not true, as has been reported time and again by MyNation. The Modi government has clarified that the Rafales it is getting are fully loaded whereas the previous version that the UPA government was negotiating for was just the skeletal structure with bare minimum features. And yet, the Rafale jets procured by the NDA government is cheaper by Rs 59 crore per aircraft, as reported by MyNation. On the accusation of Anil Ambani’s firm being favoured, it turned out that the UPA government had a deal with Reliance, too, a firm of the group that was led by Mukesh Ambani. And then, the UPA government led by the Congress had struck several deals with Anil Ambani’s company, too. The Congress accused the Modi government also of ignoring the public sector HAL while negotiating the fresh agreement. According to Rahul Gandhi and his party, under the previous deal that was being negotiated, the HAL could have manufactured some of the aircraft through a transfer of technology. But the HAL has clarified that it was never supposed to be a part of the G2G deal for a much smaller contract of 36 aircraft in the first place. "We are not in the offsets business. We are into manufacturing of aircraft. A transfer of technology and production are different from offsets."